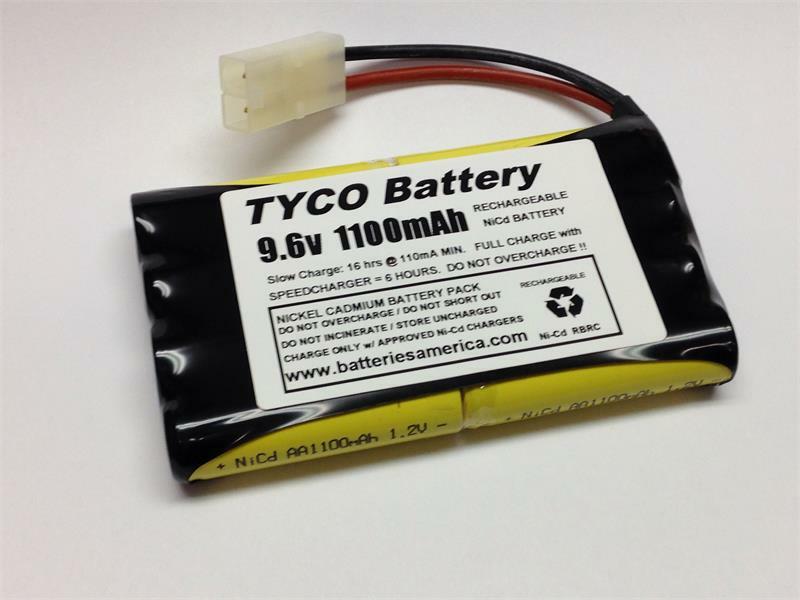 Home > RC Hobby > Motor Battery Packs > TYCO 9.6 volt 1100mAh Ni-Cd battery pack for R/C, TYCO-style, with TAMIYA conn.
TYCo-style 9.6 volt 1100mAh rechargeable battery pack with Tamiya connector. Used in a wide range of RC toys. These battery packs are Made in USA by BATTERIES AMERICA.